In accordance with the MOU, the AWF was to grant 255 million yen to the PICN with the purpose to improve the living conditions of Dutch victims, as a way to express the feelings of atonement of the Japanese Government and people. All of this money would be provided from Japanese Government funds. It was decided that the entire amount of 255 million, with the exception of a maximum of 10 million yen for administrative expenses, would be used for victims wishing to participate in the project. In August 1998, the PICN launched the projects by placing advertisements in newspapers and other media in the Netherlands and in different parts of the world. The application deadline was set for 15 March 1999, and applications were received from 107 people. The application deadline was set for 15 March 1999, and applications were received from 107 people. The PICN followed strict criteria standards when examining the applications, and approved 79 people as project recipients. Conditions for approval included Dutch nationality at the time, and that the victim had been forced through physical means into prostitution by Japanese occupying forces during World War II. Other factors considered included location, frequency, nature of trauma, and causes of illness, etc. Victims approved as recipients were provided with goods and services valued at an average of approximately 50,000 guilders (3 million yen) per person. In implementing the project, the PICN first listened to the victims' wishes regarding types of medical and welfare services, and designed programs based on those wishes. In order to realize the individual programs, financial support was then given to individual recipients. Following the request made by the PICN, a copy of the letter in English from Prime Minister Hashimoto addressed to Prime Minister Kok of the Netherlands(Full text ) was delivered to each victim in April 1999. It repeated the contents of the letter of apology that the Japanese Prime Minister had written to victims in the Philippines, the Republic of Korea and Taiwan. The letter began with this sentence: "The Government of Japan is painfully aware of its moral responsibility concerning the issue of so-called wartime comfort women." The letter also points out that the Asian Women's Fund implements the projects in order to express the national atonement on the issue and that the Government cooperates with the AWF. It is further made clear that the purpose of the medical and welfare projects in the Netherlands is to "express atonement of the people of Japan." 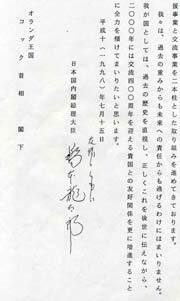 The official statement issued in 1995 by the then-Prime Minister Tomiichi Murayama was incorporated into the content of the letter and the words "apology and remorse" were repeated twice. In November 1998, Mrs. Marguerite Hamer - Monod de Froideville became the President of the PICN to succeed General of Army (ret.) Huyser, who then became the PICN Main Advisor. I value Mr. Hashimoto's apology. I sent a copy to my sister to have it translated. While I was on holiday with the Reuma Fonds (Rheumatism Fund), my husband called me to tell me about the letter. 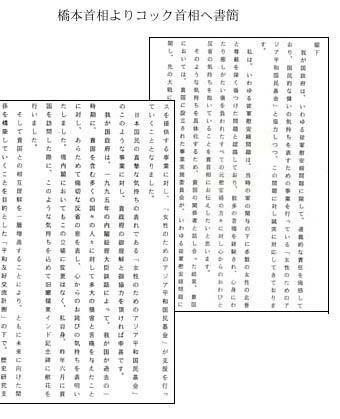 I am greatly satisfied with Mr. Hashimoto's letter. Finally there is some form of recognition after all those years. My emotions make me tremble. Thank you once again for your efforts. I am very pleased with the statement made by the Japanese Prime Minister. I herewith thank you in advance for everything you have done for me and will do. Not only this financial compensation, but also the recognition of all the misery I had to endure as a 15 year-old girl. It salves the open wound, which I have endured throughout my life. 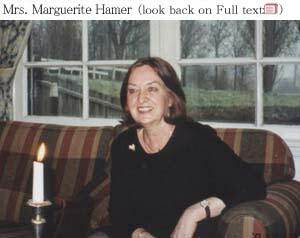 President Mrs. Marguerite Hamer - Monod de Froideville conveyed the content of these letters to the Japanese Embassy, and said that "despite the fact that pain from the past still remained, the recipients' reactions generally indicated that the projects had brought some solace, and especially that Prime Minister Hashimoto's letter had given the victims a kind of satisfaction, because it communicated an understanding of their pain." 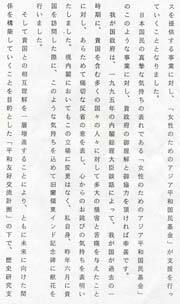 In November 1999, it was reported that a Japanese textbook publisher had applied to the then-Ministry of Education to change an entry in its junior high school textbook for social studies by removing the word "forcibly" from the following sentence: "They were forcibly sent as comfort women to the warfront." When this was made known in the Netherlands, PICN President Mrs. Marguerite Hamer - Monod de Froideville, in the name of the victims and the members and advisors of the board of PICN, sent a letter dated 15 November 1999 to the Ambassador of Japan in the Netherlands, strongly objecting to the application made by the textbook publisher. The news, she wrote, "had been met by an extremely emotional response from the victims, and was a great shock to their sensitivities." She went on to say that "if the textbook entry was watered down, the victims' feelings would be even more gravely hurt." Changing the entry, she wrote, would go against the words in Prime Minister Hashimoto's letter, turning them into a falsehood.  It would also make it possible to say that the very existence of the Asian Women's Fund and the PICN represented a sham, and would result in future generations of Japanese not having a correct understanding of Japan's history during the World War II period. A copy of her letter was sent to the Asian Women's Fund. In response, the Japanese Government explained that Japan's textbook authorization system is based on respect for freedom of expression, gave examples of the many other entries in Japanese textbooks, and reconfirmed the Japanese Government's position concerning the interpretation of history, which had been indicated in Prime Minister Murayama's statement. Although the Project was established not until 53 years after the end of the War, and although no money in the world can ever compensate for what they had to endure in their young days, yet it did indeed bring a sort of peace to the victims, and a kind of justice to them, which they needed. Their lives really have been improved thanks to the AWF, not only because of the financial compensation in the form of the Project money, but also because of the recognition of the wrong doings of the past Mr. Hashimoto's letter has conveyed to them. Also at the ceremony, deep appreciation to the PICN was delivered through messages sent by President of the Asian Women's Fund Tomiichi Murayama and Minister of Foreign Affairs Makiko Tanaka. On 13 July 2001 the PICN published an evaluation report of its activities(Full Text ).